Enjoy the very best of HÄAGEN-DAZS, now without dairy. 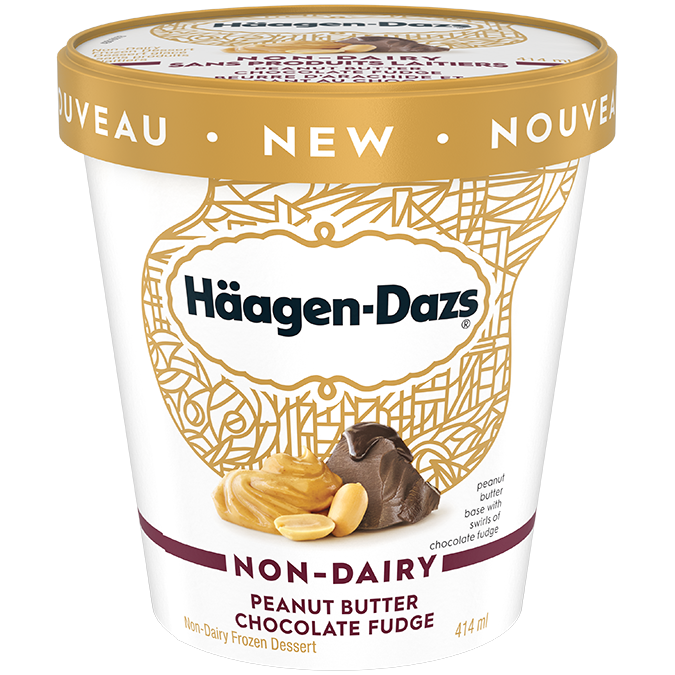 The HÄAGEN-DAZS, Non-Dairy Peanut Butter Chocolate Fudge taste experience begins with a smooth peanut butter base, blended with irresistible swirls of decadent chocolate fudge. Made with extraordinary ingredients, it’s a dessert you’ll crave. Smooth peanut butter blended with irresistible swirls of decadent chocolate fudge. The perfect non-dairy dessert, featuring a unique peanut butter base. Made with the same passionate commitment to delectable ice cream that we’ve shown since 1960. Savour an exquisite taste that reflects our dedication to using only the finest ingredients. Available in other indulgent non-dairy flavours like Coconut Caramel and Chocolate Salted Fudge Truffle – and also available in bars.